Are you looking to implement 5S in your current workplace? The methodology can be very powerful and can result in huge improvements in productivity in most working environments, but it’s important that it’s applied correctly and with attention to all details. There are multiple components that have to be observed carefully, and you’ll need to make sure that the whole organization is on the same page with regards to implementing 5S. A successful 5S implementation relies on having a productive working environment that lends itself to the use of the system, and this environment must be maintained over time as well. Prepare appropriate areas for storage of tools and materials, for example – keeping the workplace organized is one of the fundamental parts of 5S, but it can be pretty much impossible to do when the working conditions don’t predispose to that. You should also have a well-designed ordering system for all of those resources, and copies of the relevant instructions should be spread around the work floor, making them easily accessible to anyone that needs them. In addition to that, tools and materials for keeping the workplace clean should be available to everyone. Another major point of 5S is standardization – yet some organizations don’t seem to think about this in the right terms, and only apply it to certain levels of the company. Instead, standardization should be a global effort that encompasses all activities of the organization and allows everyone to work towards a common goal more easily. It can be a messy ordeal at first if you’ve been working for a long time without any standard practices in place, but the longer the company runs with a proper standard model, the more the benefits are going to compound. It’s also important to ensure that new employees will have the right mindset for an organization that follows standard principles so much. 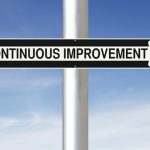 This is a common problem for larger companies that go through a 5S transition – it’s not enough to get everyone involved in the current organization, you also have to ensure that things are laid out in a way that drives new employees in that direction as well. And that is often much more difficult to do right than many leaders suspect. Last but not least, you’ll need to make sure that your efforts won’t go to waste a few years from now when it all falls apart and people return to their old ways because that’s just easier. 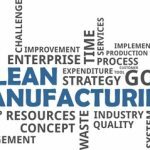 Sustainability is actually an important part of 5S, and while some leaders see it as a critical factor for the production work, it actually plays a major role in the implementation of 5S itself. You have to do the transformation in a way that the results will last, and this depends on the specific structure of your company at the moment. 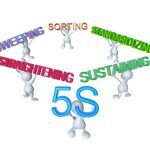 A lot has been said about sustainable 5S implementations in recent times and it’s a bit out of the scope of this article to discuss them, but a good rule of thumb is to have some practices in place that verifies everyone’s alignment and involvement with 5S on a regular basis. Then, correct any irregularities that come up in those verifications. Implementing 5S in your company can be one of the best improvements to its productivity as a whole, but it’s a process that has to be controlled carefully. 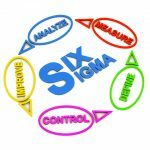 Every step of the 5S methodology has to be examined thoroughly, and you must make long-term decisions that drive sustainable implementation and motivates everyone to stay on board with the changes you’ve made.